PEORIA - An arrest has been made in the Sunday morning fatal hit and run in Peoria. 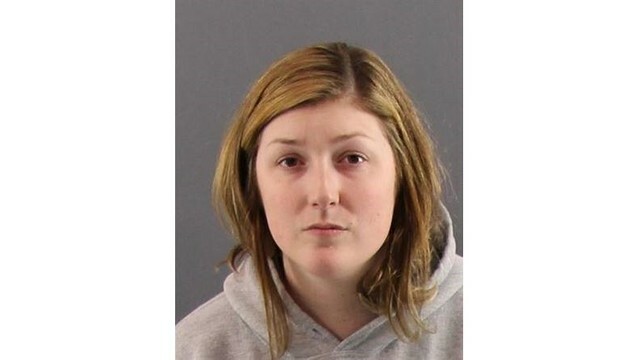 At approximately 1 p.m., Peoria County Sheriff Brian Asbell said the sheriff's department arrested 26-year-old Amanda J. Boyer of Peoria for leaving the scene of an accident involving death/injury. The hit and run, which occured at around 2:30 a.m. Sunday in the 3100 block of Farmington Road near Swords Ave, left 39-year-old John Lackey of West Peoria dead. He was taken to OSF Saint Francis Medical Center where he was pronounced dead. During the investigation, detectives developed information that led to the identification of Boyer and her vehicle. Asbell said Boyer was cooperative in the investigation and taken in custody at her residence without incident. Boyer was transported to the Peoria County Sheriff’s Office and booked in for the listed charge per the Peoria County States Attorney’s Office. Investigation is ongoing however no other individuals are being sought in relation to this incident. Boyer will be scheduled for court at 3 p.m. Wednesday. Peoria County Coroner Jamie Harwood said Monday autopsy findings showed Lackey suffered multiple blunt force trauma injuries, including severe head and chest trauma. Harwood said he was likely killed instantly.